"When I was young, Parvana, I knew what peace felt like…" GKids has debuted the full-length theatrical trailer for an animated film titled The Breadwinner, set in the heart of Afghanistan telling the story of a girl who dresses as a boy in order to work and provide for her family. This is directed by Nora Twomey, one of the co-directors of the lovely Oscar-nominated animated film The Secret of Kells, and it feature some stunning animation. It's also executive produced by Angelina Jolie. Featuring the voice of Saara Chaudry as the lead girl Parvana, as well as Laara Sadiq, Shaista Latif, Ali Badshah, Noorin Gulamgaus, and Kawa Ada. I recently saw this at the London Film Festival and it's a fantastic, heartbreaking film that is important for all to see because it can help us understand different cultures. I recommend it. Worth a watch. You can still watch the teaser trailer (+ teaser poster) for The Breadwinner here, for a bit more footage. Parvana is a 12-year-old girl growing up under the Taliban in Afghanistan in 2001. When her father is arrested, Parvana dresses as a boy in order to work and provide for her family. Together with her best friend Shauzia, she risks discovery to try to find out if her father is still alive. The Breadwinner is directed by Irish animation filmmaker Nora Twomey, co-director of the film The Secret of Kells, and director of a few animated shorts previously. The screenplay is written by Anita Doron, based on the book by Deborah Ellis. This premiered at the London Film Festival, and won the top prize at the Animation is Film Festival. 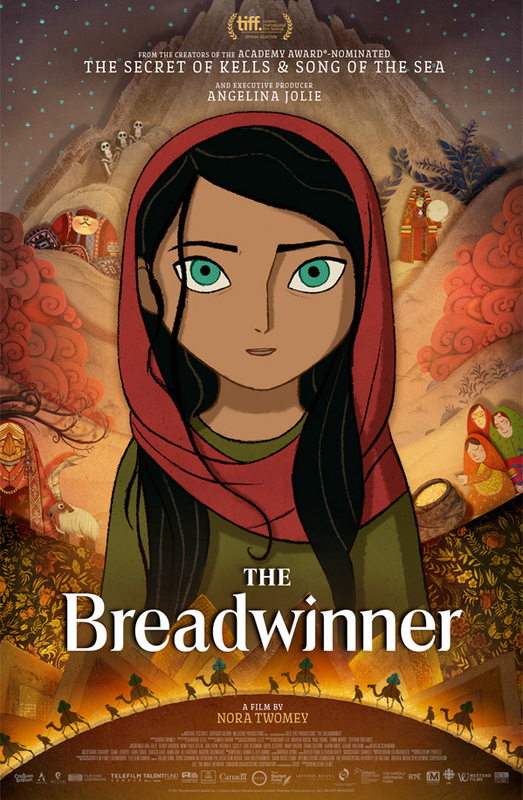 GKids will release The Breadwinner in theaters starting November 17th this fall. Who wants to see this?